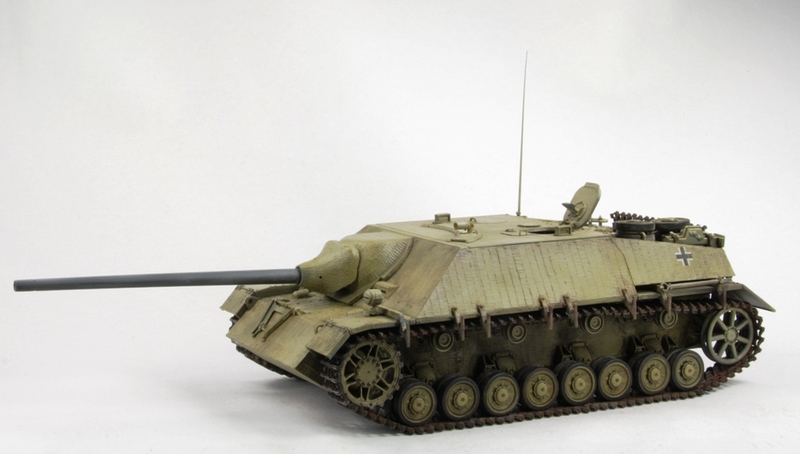 Dragon Kit with Dragon Zimmerit. 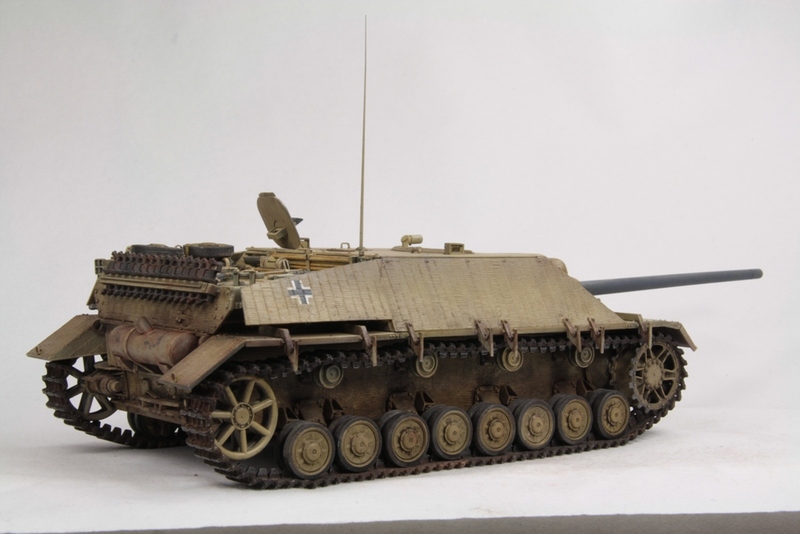 The Panzer IV Lang Production of August and September 1944 were only delivered to the new formed Panzer Brigaden in summer 1944. 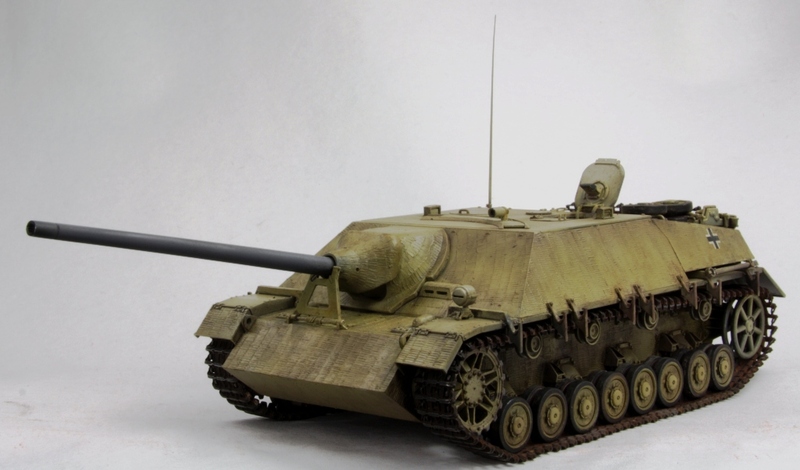 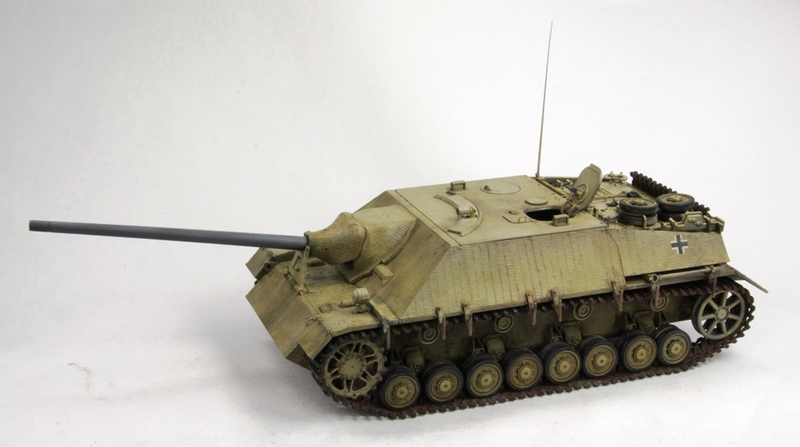 The fourth Kompanie of the Brigade have 11 Jagdpanzers. 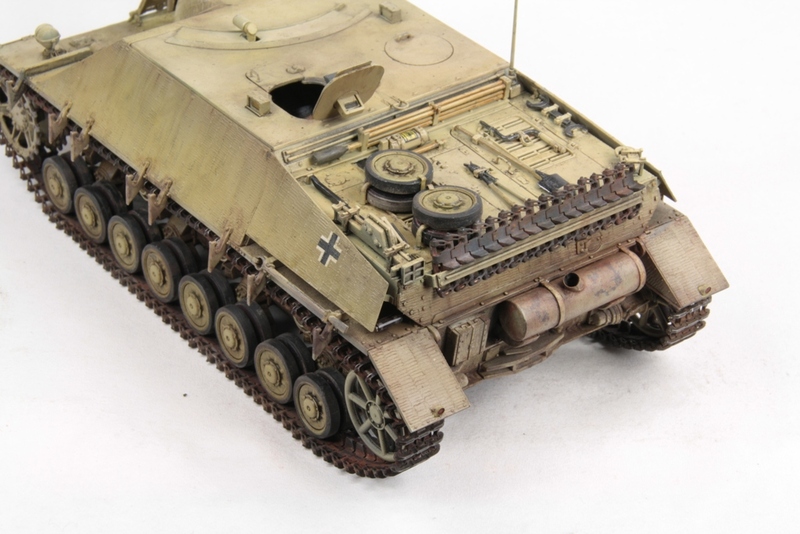 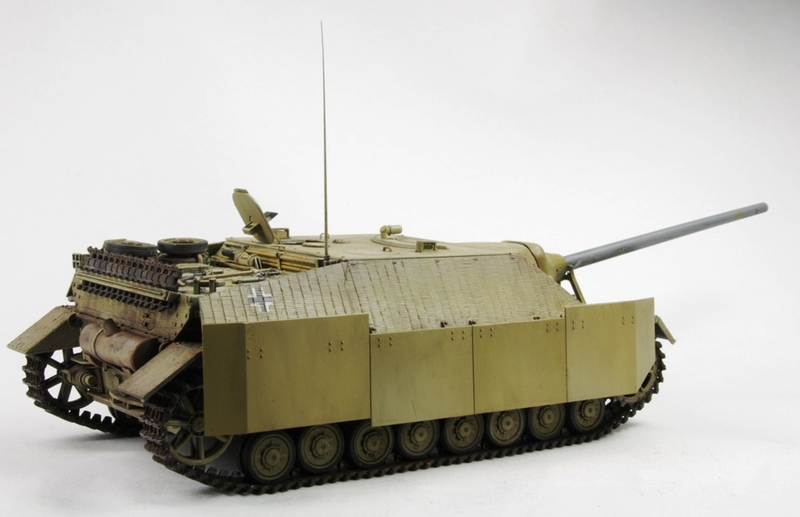 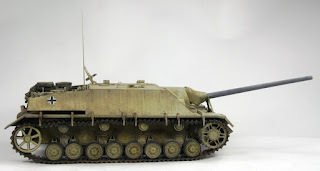 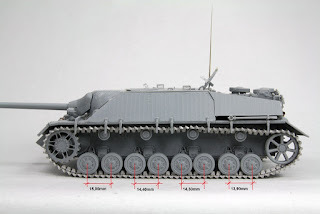 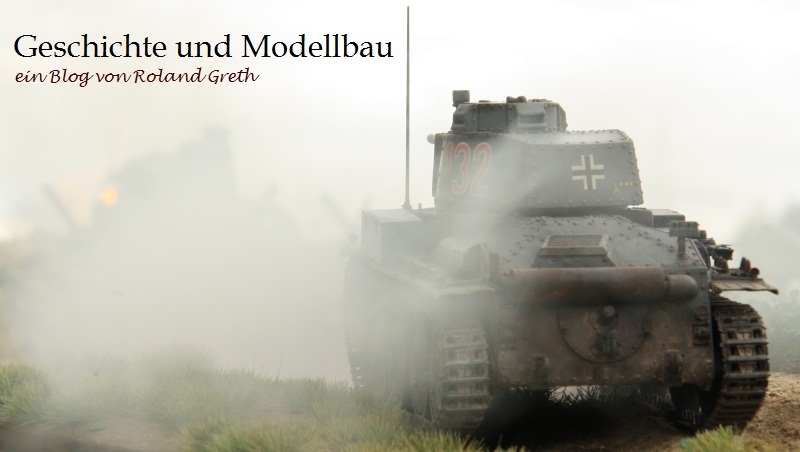 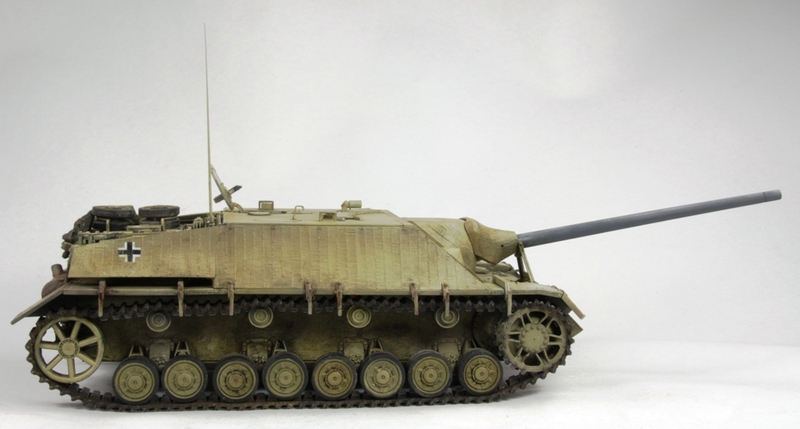 I have modified the boogies of the Rollenwagen to simulate the front heaviness of the Jagdpanzer.